The Drummond Pipet-Aid sets the standard for a convenient alternative to mouth pipetting in the laboratory. With a patented, easy-to-use volume control mechanism the Drummond Pipet-Aid permits precise fluid intake and delivery. A check valve protects the Drummond Pipet-Aid against accidental fluid intake into the handle and the optional Tissue Culture Nosepiece prevents cross-contamination due to over-pipetting. A special filtration unit for use with biohazardous materials is also available. A primary reason for the product’s success is the wide range of needs it now serves. The leading advantage of choosing the Pipet-Aid product is that it can be used with both glass and plastic pipettes. 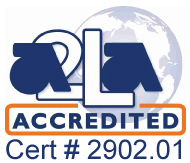 This flexibility means that the product is now the trusted standard for pipetting applications across the globe. The Drummond Pipet-Aid’s success is based on patented control technology. The success of the Drummond Pipet-Aid product line is largely down to the commitment of the Drummond team to innovation and development. This commitment is highlighted through the patented control technology which comprises their original Pipet-Aid design. It’s the secure, high-performance system that is driving successful pipetting work decades after its invention. A patented, easy-to-use volume control mechanism. A check valve protects against accidental fluid intake into the handle. The optional Tissue Culture Nosepiece prevents cross-contamination due to over-pipetting. Available with or without EZ Grip TC filter nosepiece. Available with dual pump filtration unit for use with biohazardous materials. Can be used with glass or plastic pipettes. The Drummond Portable Pipet-Aid XP is a smaller, portable and more lightweight version of the original Pipet-Aid. The Drummond Portable Pipet-Aid XP models come with a useful speed adjustment system. Each button has three flow speeds; fast, medium and slow, to provide optimal flow rate performance and control for various liquid handling applications and needs across a variety of laboratory tasks. 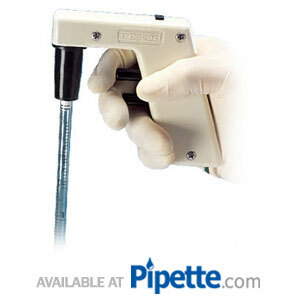 These pipette controllers have advanced the industry standards for pipetting comfort, convenience, and control.